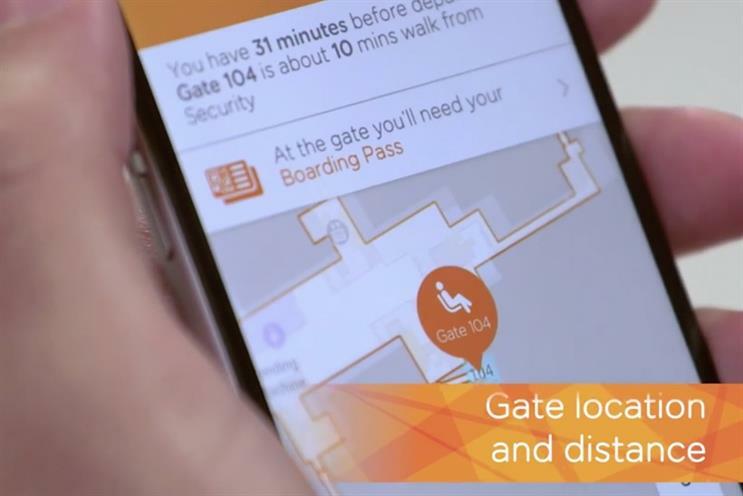 EasyJet has launched the Mobile Host app, which guides passengers through the airport process, tells them via their smartphone where to drop off their baggage, which gate to board their flight from and, upon arrival, which conveyor belt to pick up their bags from. Mobile Host is a more sophisticated, updated version of an existing EasyJet passenger app. In its new form its first prompt to flyers will be to remind them to check in online before travelling to the airport. It will then give them flight updates and at the departure gate display a QR code that can be scanned for boarding. In its initial guise, the app will use live data gleaned from just London Gatwick Airport’s database to present passengers with flight itinerary information and maps of the airport using Google Maps’ indoor plans. Mobile Host is available in seven languages and will also only initially be available to iPhone users. EasyJet has produced a YouTube video demonstrating the app’s functions. News of the app breaks after EasyJet sought to allay fears over plans to shrink the size of its toilets, after plans were announced that nearly half of the airline’s fleet of planes will be refitted within the next three years to enable it to add six more seats in each 180-seat Airbus A320. EasyJet chief executive Carolyn McCall reassured media yesterday that "we don’t believe passengers will notice it".